Custom manufactured product, the delivery time takes approximately 8 weeks if not otherwise stated. 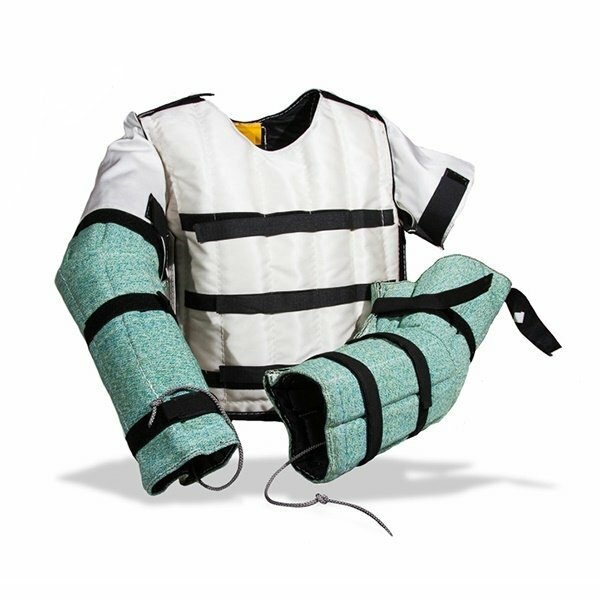 This super light, hidden protective clothing is an essential wear for protection dog training. It was designed especially for imitating real actions. The arms, chest and legs of the trousers are adjustable with hook and loop straps. With closing the straps, you also close the protective panels inside and this way they give a perfect invisible protection. Arms are easily removable and/or changeable by pulling on a string. To hide your protection gear you should wear a light military coat or any type of cotton clothing without pockets and buckles on top. Should be stored away from direct sunlight. The raw materials, starting from the threads and then the fabrics of the products, are carefully selected by the manufacturing team of Julius-K9®. 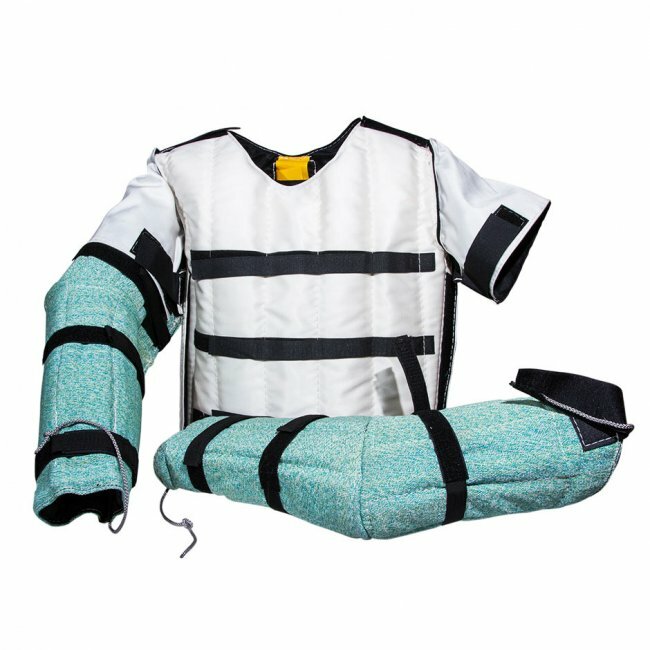 High cotton content and polyester materials are used in treat tugs, protective arm covers and police dog training equipment. Please pay attention to measure correctly! If the clothing doesn't fit you because of incorrect measuring, we can't pay the costs of repairing. Attention! Don't wear it on clothes with buttons, pockets and zip-fasteners.